I spent last week mostly doing admin stuff (like preparing my quarterly taxes, following up unpaid invoices, and paying my own ridiculously steep postage bill). I also managed to write a blog post about why indies should make their business approach more personal. Oh, I have a missed call! Could that be Apple Support? 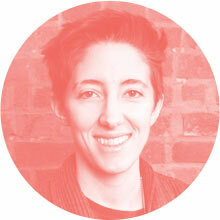 Ivana is an interaction designer residing in Vancouver, as well as the editorial assistant for Offscreen. She also runs Facets Newsletter and the Origins project and has previously made a living as a rock climbing instructor and video game tester. Her favourite things in life are her wife, her jack russell terrier, and a nice coffee. There’s no shortage of fancy charging cables out there, but the NIGHT is my favourite. 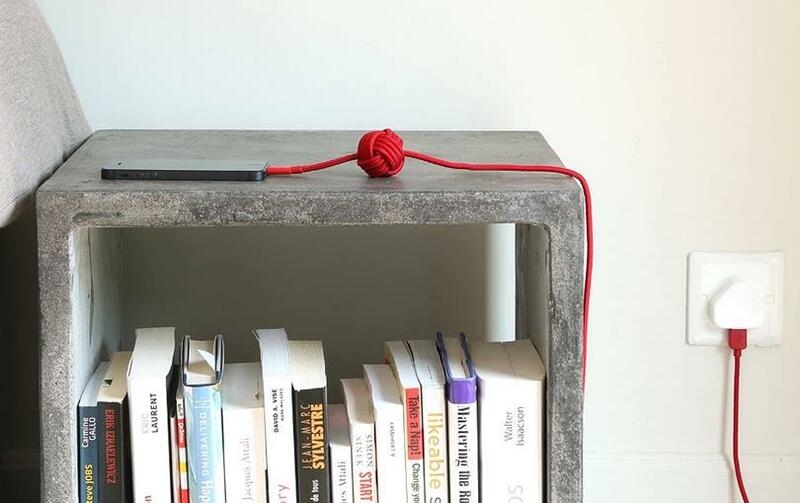 It’s braided and wonderfully tactile, ten-feet long (excellent for distant coffee shop plugs), and when at home, the weighted knot keeps it on my table, and prevents me flailing for it when turning off the alarm in the morning. Sometimes, whatever I’m working on, I just want some sound, some ambient noise to pull me out of the chaos around me, but not displace me entirely or undermine my focus. Noizio provides it, with a simple interface that lets me pick just the right ratio of campfire to Paris cafe. I’m a huge fan of Tanner Goods. 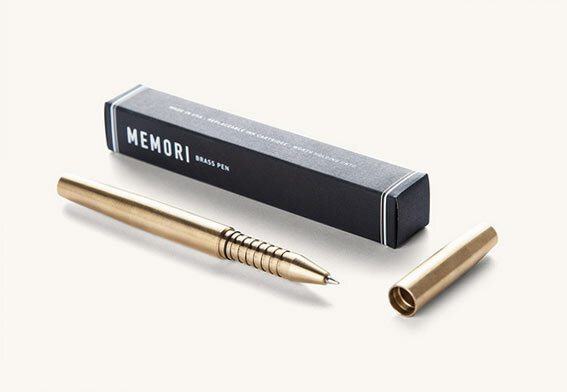 The quality of everything they make is marvellous, and the solid brass Memori is no exception. The pen has longevity, weight, and is a pleasure to write with – I will be writing with it for a long, long time. It also takes G2 ink cartridges, which means that I have plenty of options. This app asks for your concentration in an entirely new way. When ambient noise doesn’t quite do it, Forest ensures you put down your phone by planting a tree. If you exit the app within thirty minutes, the tree dies. The idea is to grow an entire forest, a manifestation of your ability to stay away from your phone for thirty minutes at a time, no matter what the situation. 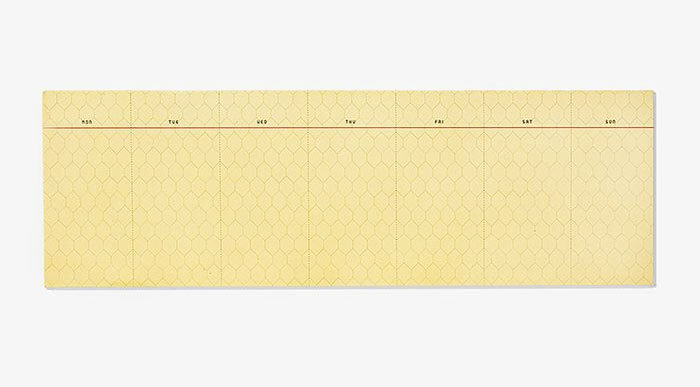 This pad takes advantage of a love for beautiful stationery and a compulsive need to plan, in linear grids. The simple geometric pattern is attractive but not obtrusive, and it helps me keep a holistic view of my week, without necessarily confining tasks to times. Whenever I come across a free icon set I snap it up. I try to keep the folders organized, but it often ends up a jumbled mess, and I can never seem to search them the way I want to. IconJar allows me to categorize, tag, and search them, all in one place. It’s quickly become an integral part of my workflow. They even have a freebie database! The Modern Desk is a brief, once-a-week newsletter with a handful of apps and accessories to help you create a more productive and enjoyable work environment. Unless clearly marked as sponsor/advertiser, we do not receive compensation for any of our recommendations. Follow us on Twitter for related updates. TMD is a project by brizk, 20 Breese St, Brunswick VIC 3056, Australia. Kindly supported by Campaign Monitor. Header photo via Blood & Champagne, Houzz or Minimal Desks.